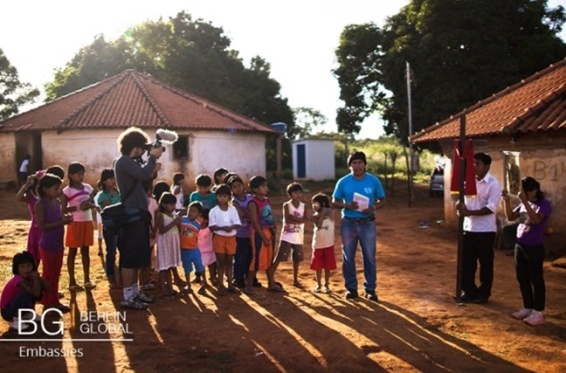 “O Mestre e o Divino” (The Master and Divino) by Tiago Campo narrates the story of a German missioner and young filmmaker in Sangradouro, Matto Grosso- Brazil. The producer himself filmed indigenous people and their rituals with the so-called super 8 cameras. Adalbert and Divino are both filmmakers in the Xavante community of Sangradouro, whose mutual affection and respect are evident despite their competitiveness and criticism of each other. 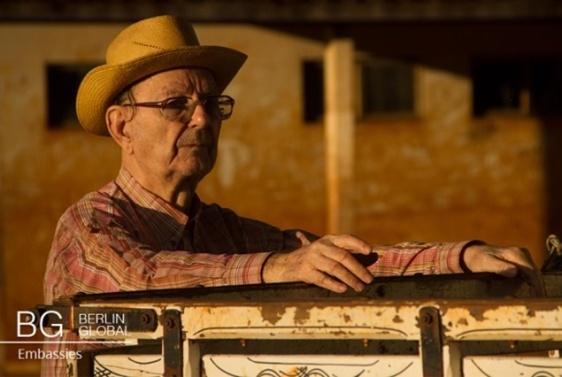 Adalbert from Germany moves to Mato Groso in 1957 to evangelize the population however, as he grows fonder of their tradition he is saddened by the slow erosion of the Xavante’s tribe rituals. Divino, young and modern former student of Adalbert wonders what his future would have looked like had Adalbert not introduced him to the Super 8 camera. This film explores the theme of multi-faceted friendship in a torn portrayal of tradition versus modernity. The film reveals the congenial and sometimes fractious relationship between Adalbert and his student, shaped by humor, competition, criticism, and ultimately mutual affection. It’s the story of a dynamic duo with different histories and equally different personalities, with lives brought together in this Amazonian village, all captured by yet a third filmmaker, Tiago Campos. In the whirlwind of cameras, Campos weaves together archival footage—humorous and serious—and the long relationship between these two men and the cultural worlds they represent. Step into the Amazon valley for an absorbing and quirky look at the intertwined histories of Catholic missionaries and indigenous activists. During the filming of “The master and Divino”, says the director Tiago Campios, among the things that “jumped” in front of the camera, was the relation between “master” Adalbert (German missionary and filmmaker) with Divino Tserewahú (young Xavante filmmaker), me and my team. “It was what intrigued me most”. Several elements of the story we were trying to understand were crossing in an incredible way: Divino’s super active involvement with the modern and technological world, Adalbert’s will to become an Indian and the influences each of them received in their youth, among other elements, lead to a set of scenes that are improbable and evident at the mean time. We can enjoy this documentary series in Berlin, which will be screened at the Simon Bolivar Hall on Wednesday the 20th of April at 19.00.